State authorities are about to give the stamp of approval to new polluting power plants near Latino neighborhoods. Tell the Public Utilities Commission to reject plans to give utilities unchecked leeway to build new dirty gas plants! State authorities are about to vote on a plan to give big power companies a pass to build new polluting gas-fired power plants in Southern California. They’re called “natural gas plants,” but they’re anything but natural. The Public Utilities Commission (PUC) of California could vote on this plan as soon as this week. If the commissioners hear from enough of us about how Latino families and other communities are bearing the public health costs of these polluting plants, we’ll be able to thwart their approval. Will you send a message to the PUC and ask the Commissioners to reject plans giving a pass to the big utility companies of California to build new gas plants? Tell the PUC to stand strong against giving Southern California’s utilities a pass to build more polluting gas-fired power plants in our communities! The utilities’ dirty secret is that they make money from big bloated power plant projects.5 So they have every incentive to push for new gas-fired power plants, damn the impacts to our communities or whether it’s the right choice for our future. So why should we ever think that trusting the big utility monopolies like Southern California Edison and SDG&E to make the right choice is good enough? 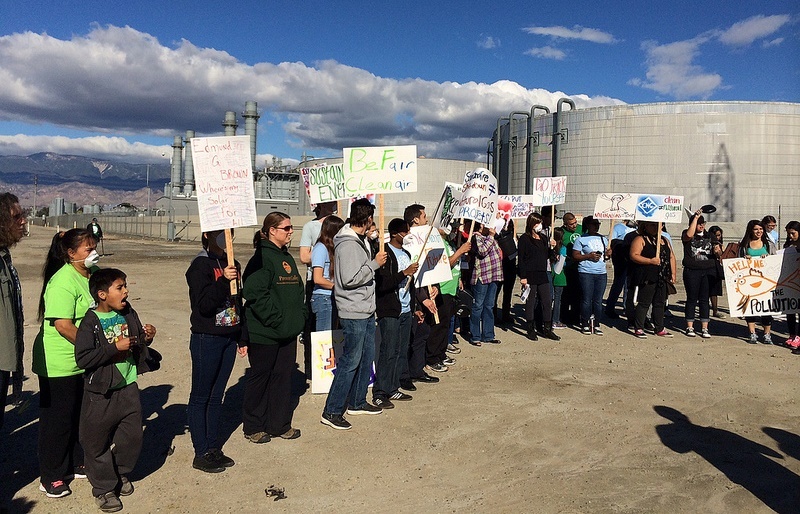 The repercussions of building new gas-fired power plants go beyond just Southern California. Building these new polluting plants would take the state of California backwards on its climate change pollution reduction goals6, just at a time when our country is being ravaged by record droughts, wild fires, and extreme storms. Tell the PUC – for the sake of our communities, trusting the big utilities to do the right thing is not good enough. Reject plans to give them unchecked leeway to build new dirty gas plants! 1. Why We Don’t Need New Dirty Power Plants. California Environmental Justice Alliance. November 10, 2013. 2. EPA’s Proposed Standards for Natural Gas Plants Fail President’s Climate Goals. Sierra Club’s Compass. October 22, 2013. 3. The Best Way to Replace San Onofre’s Power. LA Times. February 13, 2014. 4. New Poll: Southern California Customers Oppose Plan to Replace Nuclear with Gas Plants Due to Climate Change, Air Quality Concerns. The Sierra Club. January 8, 2014. 5. Solar Panels Could Destroy U.S. Utilities, According to U.S. Utilities. Grist. April 10, 2013. 6. Replacing The San Onofre Nuclear Plant. The Sierra Club’s The Planet. November 22, 2013.